Individuals with higher functioning autism (HFA) fail to translate their cognitive potential into real-life adaptation, and the severity of their symptoms is considerable despite their intellectual ability. This paper reports on a subsample from a larger study (A. Klin et al., in press) analyzed here by autism spectrum subtypes. It focuses on the nature of ability and disability in HFA and Asperger syndrome (AS) in relation to age and IQ. Participants included 32 individuals with autism and 35 with AS. 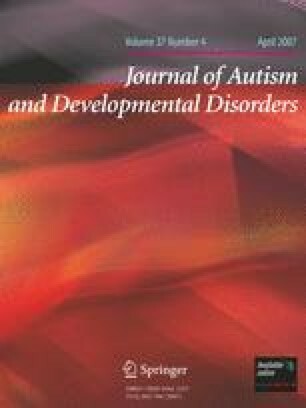 Individuals with AS had significantly higher Verbal IQ scores and less symptomatology than individuals with autism, but their Vineland scores were equally impaired, highlighting the adaptive deficits in ASD regardless of classification. No relationship was found between adaptive functioning and symptom severity. This project was supported by NIH Research Grant 5-PO1-HD03008-37 funded by the National Institute of Child Health and Human Development (NICHD). We thank all of the families for their time and participation in our research program at the Yale Child Study Center.